(91outcomes.com) Through the leadership efforts of Rep. Dennis Kucinich (D-Ohio), today's House floor votes increased the CDMRP Gulf War Illness treatment-focused research budget by 25 percent, as we were seeking. We hope that the final vote will preserve the acclaimed Congressionally Directed Medical Research Program ("CDMRP"), which primarily Tea Party members of the House want to eliminate, claiming it's duplicative of NIH funding. While it is true that some of the CMDRP subjects are the same as those researched by NIH, such as some of the cancer programs, the funded research is primarily high-risk, high-gain and would not otherwise be funded. This is particularly true for programs like GWI, which VA also researches. However, VA only funds VA employees, meaning the treatment-focused CDMRP studies would never be funded by VA.
Additionally, most if not all of VA's GWI research is "investigator-initiated" and to date has lacked strategic focus. The proof is in the outcomes, with the first and only successful GWI treatment so far having been funded through the CDMRP and not VA.
CDMRP has had just $31 million in appropriations for GWI; VA and DoD combined have spent over $400 million without finding a single treatment to help GWI patients. According to the Institute of Medicine (IOM) -- VA's gold standard -- 250,000 of the 696,842 veterans of the 1991 Gulf War, or more than one in three, suffer from chronic multi-symptom illness not explained by any physical or psychiatric disorder. Washington D.C. (July 6, 2011) – Congressman Dennis Kucinich (D-OH) today continued his his long-term commitment to funding research into the cause and cure of Gulf War Illness by offering an amendment to the Defense Appropriations Act, H.R. 2219, which will increase the amount of money available to the Gulf War Illnesses Research Program by 25% over last year’s level to $10 million. Congressman Kucinich took to the floor today to urge support for the amendment. See the video here. The amendment passed today by a vote of 253 to 167 and will be included in the underlying bill. “Today, along with the support my colleague, Representative Michaud, I am offering this amendment to help an estimated 250,000 ailing veterans of the first Gulf War-- over one-third of those who served. It will bring the modest budget for the Gulf War Illnesses Research Program within the Congressionally Directed Medical Research Program (CDMRP) in line with that of its peer programs, to $10 million. “Too many veterans of the first Gulf War suffer from persistent symptoms such as chronic headache, widespread pain, cognitive difficulties, unexplained fatigue, gastrointestinal problems, respiratory symptoms, and other abnormalities that are not explained by traditional medical or psychiatric diagnoses. Research shows that as these brave soldiers age, they are at double the risk for ALS or Lou Gehrig’s disease as their non-deployed peers. There may also be connections to Multiple Sclerosis and Parkinson’s disease. Sadly, there are no known treatments for the lifelong pain these veterans endure. “In a new landmark report, the Institute of Medicine has recognized that, and called for a major national research effort to identify treatments. The scientific community has responded with a dramatic increase in the quality and quantity of proposals that are submitted to the Congressionally Directed Medical Research Program, otherwise known as CDMRP. “Most encouraging, CDMRP-funded researchers have completed the first successful pilot study of a medication to treat one of the major symptoms of Gulf War illness. Just last month, a report was released on the first successful medication program study in the history of Gulf War illness research. 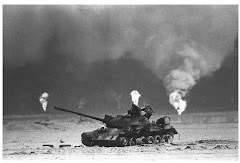 The study showed that the low-cost supplement, Coenzyme Q10, produced significant improvement in one of the most serious symptoms of Gulf War illness, fatigue with exertion, as well as improvements in nearly every other symptom. It is not a cure, and the study needs be replicated in a larger group, but the result is extremely encouraging. The next step is for clinical trials, which will only be funded by the CDMRP. “The amendment’s offset comes from the Pentagon Channel, which is costly. It is over $29 million in the past 3 fiscal years. It is redundant; there are 8 other armed forces network television services providing news, entertainment, lifestyle, documentary and religious programming to service members and their families across the globe and it does not provide a vital service. This research is critical to our troops in the field now as well as those that will be fighting in the future. “According to the VA’s Research Advisory Committee on Gulf War Veterans’ Illnesses, the known causes of GWI are from exposures incurred in Iraq, like certain pesticides, or are from exposures incurred before deployment, like pyridostigmine bromide, a drug taken as an antidote to the nerve gas, Sarin. 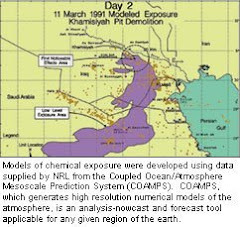 There is also some evidence for a link between GWI and exposure to low-level exposure to nerve agents, close proximity to oil well fires, receipt of multiple vaccines, and combinations of Gulf War exposures. “This is a time for us to say thank you to those who served; to say that we understand the suffering that Gulf War veterans have had with this illness and that we are dedicated to finding higher levels of research to make sure that we can relieve their suffering.